Harry Potter fans celebrate as 1st September 2017 is the day Albus Severus Potter boards the Hogwarts Express for the first time! It's a very special date in the wizarding world of Harry Potter! If you’re a witch or a wizard, it’s time to go back to Hogwarts! In the Harry Potter books, the 1st September is the day every year that pupils have to catch the Hogwarts Express and head back to school after the long, summer holidays. 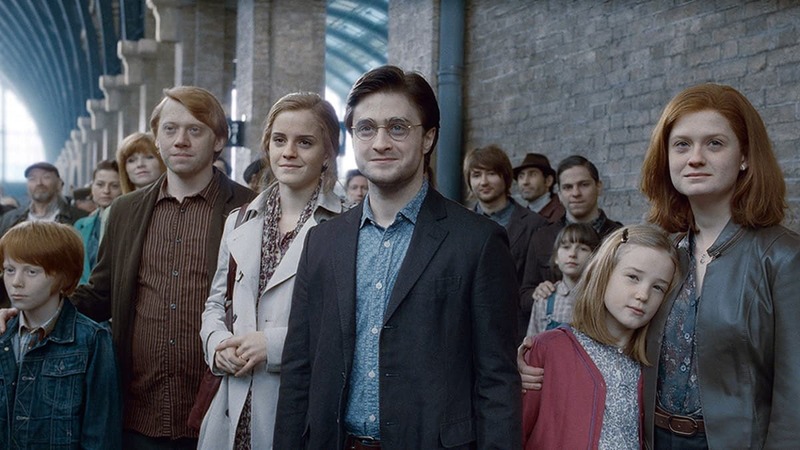 At the end of Harry Potter and the Deathly Hallows, the book fast-forwards to 19 years later when Harry and Ginny are at London’s King’s Cross station watching their son, Albus Severus Potter, board the Hogwarts Express for the first time. And the date in the book? Yep, 1st September 2017! That’s because Harry Potter books were actually set in the 1990s, which was when author J.K. Rowling started writing them. Harry was born on 31 July 1980 and he started at Hogwarts 1 September 1991. In 2015, Harry’s eldest son James Sirius Potter started at Hogwarts and in 2017 Albus Severus starts at the school too! The end part of the Deathy Hallows’ book is called an epilogue. J.K. Rowling used it to reveal what happened to some of the characters in the years after leaving Hogwarts. We discover Harry and Ginny have three children (James, Albus, and a daughter called Lily Luna), Ron and Hermione have two children together, called Rose and Hugo, and Neville Longbottom is now a Hogwarts professor! Draco Malfoy and his wife are also at the station on the day, waiting to send off their son, Scorpius. Maybe if you head down to King’s Cross today you might spot the whole gang? The Hogwarts Express train departs from the secret Platform 9 ¾ at 11am on the dot! You don’t want to miss it – otherwise you might have to take a flying car to school instead, like Harry and Ron did one year!